I totally believe that the side dishes are what makes a great Thanksgiving dinner. 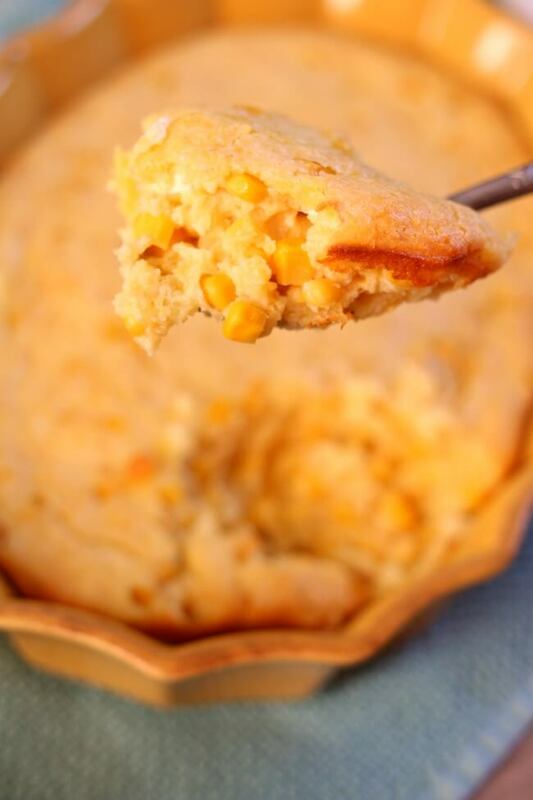 One essential side dish that is often overlooked but so good is sweet corn spoon bread. 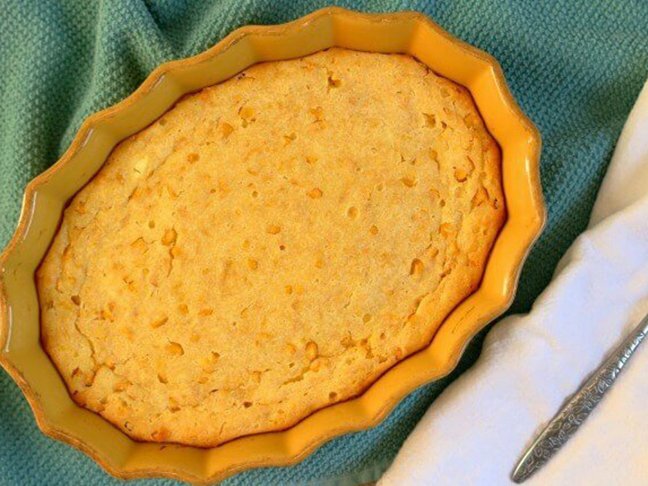 It’s a southern dish that’s a cross between corn bread and a sweet dessert. It’s more like a pudding than a bread and it’s so soft, it can be served and eaten with a spoon (which explains the name!). Looking for an easy and delicious side dish for Thanksgiving? 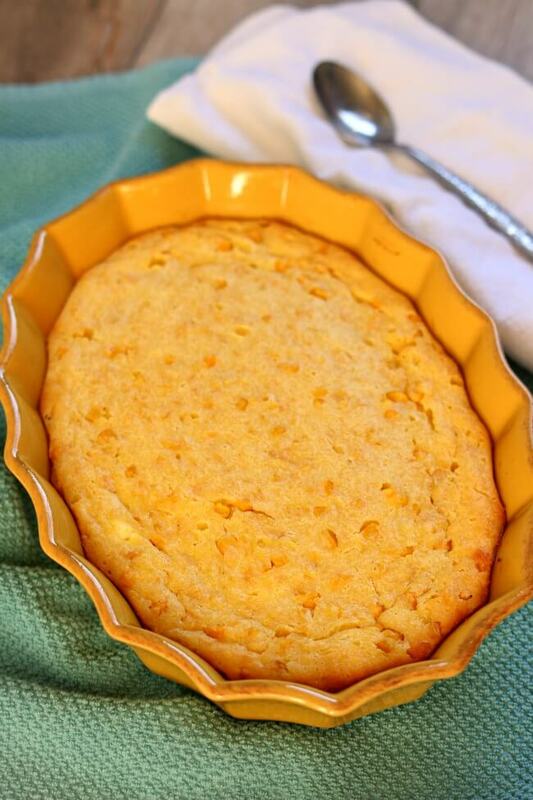 Try this sweet corn spoon bread. You can make it ahead of time but I prefer to serve it warm, straight out of the oven. 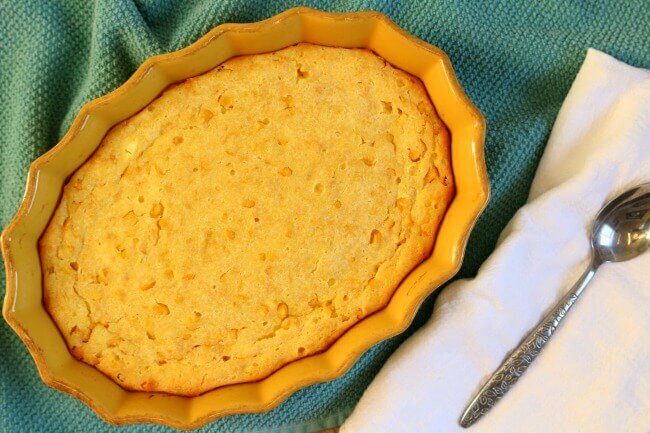 You can make this easy sweet corn spoon bread ahead of time but I prefer to serve it warm, straight out of the oven. Step 1: Preheat oven to 375° F. Spray a 9x13 inch baking dish with non-stick cooking spray. Step 2: In a mixing bowl whisk together the flour, cornmeal, sugar and salt. Step 3: Fold in the corn and the cream style corn, sour cream, butter and eggs. Stir until just combined. Step 5: Spoon the bread onto plates and enjoy! 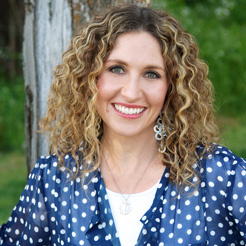 Karen Petersen is a cookbook author and food blogger at 365 Days of Slow Cooking. Mostly she writes about the new foods and recipes she's been making at her home for her husband and two children. She loves easy recipes that are full of flavor. She is a crockpot connoisseur and has created over 1000 slow cooker recipes in the past 5 1/2 years. She loves dessert more than anything else in the whole world and likes to plan it, make it, eat it, talk about it while eating it and then review it after it's gone. You can also visit Karen on Twitter, Facebook, Instagram, Google+, and Pinterest.